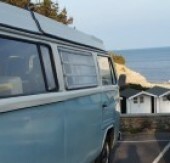 Oxfordshire has some great campervans which can be rented from their owners for touring around the country. VW campers are available for hire from locations in Carterton, Henley-on-Thames, Thame, Witney, Banbur, Bicester as well as Oxford. 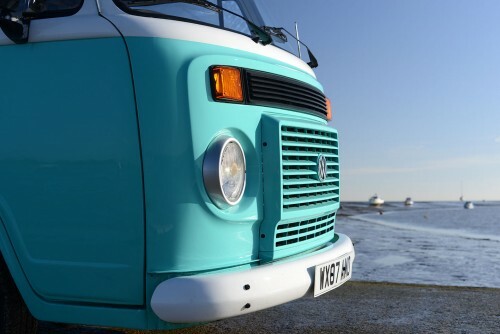 To contact a campervan owner, email them using the enquiry form on their page and they will let you know about availability and the prices for hiring their van for your trip. I am otis, hire me today! Meet Otis! He started life in Brazil before eventually braving the high seas in 2007 to explore the UK and Europe. He sleeps up to 4 people and the gas stove, sink, fridge and iPod friendly stereo are all built. We'll even throw in a record player with some classic soul vinyls! Easy pick up from central Oxford or drop off to your location on request. Prices include fully comp insurance and some cool extras too! Hi Buddy......Im Buddy with pop up roof, Air Con , Twin gas hob, Sink & Fridge. Seats & sleeps 4 people....hire mee for a comfy trip..!!! VW T4 Camper Van with full camper interior. Available for Weekly/Weekend/Festival hire. Fully equipped with everything you need to make your Adventure as Comfortable and Enjoyable as Possible!